Have you ever wondered what a day in the life of having twins is like? Would you like answers to questions such as: ‘How do you manage with twins?’ ‘What time do you feed them?’ ‘How often do twins sleep?’ ‘What activities do you do with two babies?’ Well lucky for you, in this post I shall be giving you all a wonderful insight into what life is like with twins. As the twins are now 4 months old, things are starting to get a little bit more exciting for us. Now, I don’t mean to sound like the last 3 months haven’t been the most whimsical (N.B. They haven’t. I’m tired (understatement), I haven’t washed properly since I entered into my third trimester (have you SEEN how big I was??) and no amount of caffeine or Benefit can cover these bad boy eye bags. I am in a constant state of delirious deja vu: feed feed, nappy nappy, change change, sleep sleep…) Fabulous. A day in the life of having twins. Do you wonder how to cope with having twins? The most important thing to do is to keep them on the same schedule. That way you can do the same job at the same time. However now that the twins are a little bit older, they are able to stay awake for more than 20 minutes at a time. This means we can fill up our time with things other than the obvious (that’s if I have the energy…our babies are still feeding all through the night…zzz). How to cope with twins. I make sure I feed them at the same time so that they are on the same schedule. Sometimes I even have to burp them at the same time too! 5/6am: First feed of the day. This is delightful because even though I want to stick pins into my eyes as I’m SO TIRED from feeding throughout the night, I am always greeted with slobbery, gummy smiles. All the feels. 10.30am: Wake up and time to play with the play gym. It’s wonderful to watch them using this. I have really seen the difference from month 3 to month 4, where before they didn’t have the coordination to do anything with it, now they are able to understand cause and effect: I kick, the monkey wobbles, I smile. *At this point of the day I would start packing the baby changing bag, ready for our afternoon walk. This means boiling water for the formula feeds, decanting formula into pots, sterilising bottles, checking there are enough nappies etc. This helps to make the afternoon run a lot smoother. How to go out for a walk with twins. I wear one twin using a baby carrier and then push the other twin in the pram. This makes getting around much easier. 12pm: Feed and then out for a walk for the afternoon. YOU NEED TO DO THIS otherwise you will go mad with cabin fever. Yes, this is definitely the hardest part of the day in terms of organisation. Having babies means you are constantly on a time limit, planning in when their next feed is going to be. This means as soon as they have finished their 12pm feed it’s go go GO out of the door as quick as we can as to cram as much in as possible before their next feed strikes. How to feed twins at night. 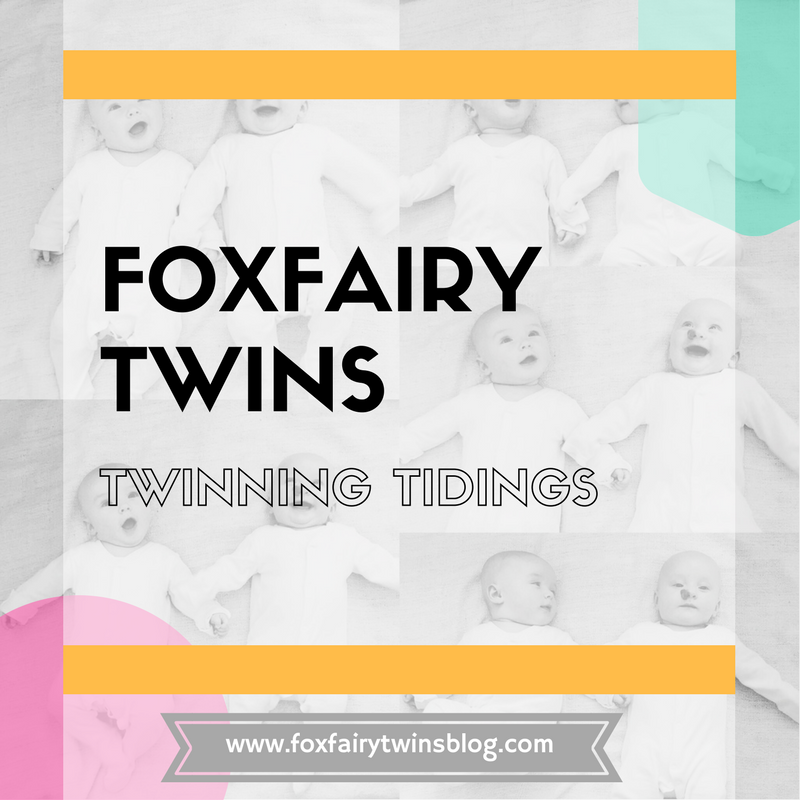 Have you wondered how to bottle feed your twins during the night? Use curved cushions to keep the babies safely in place so that you can feed both of them at the same time. 6pm: This is the part of the day where I really do feel like a human conveyor belt. Once I have fed them, I bath one baby whilst the other one sits in the bathroom with us waiting for their turn. I quickly moisturise the first baby, pretend I know how to do baby massage (you just rub the cream in, right? ), put them into bed…then it’s onto the next baby. Once both babies are in bed I read them a story, say good night and leave them to settle down to sleep. *Don’t be fooled. The twins settling themselves down to sleep at bedtime has been achieved through endless nights of repeating this routine until they learnt that it meant bed time. It doesn’t happen over night so don’t be disheartened if your little one isn’t quite there yet. Routine, routine routine! 10/11pm: Night feed in their cot (using curved cushions, see my earlier posts about feeding twins) and then straight back to sleep. 5/6am: Aaaaand we do it all over again! Of course this overview doesn’t take into account the surprise poo explosions or projectile vomit parties. But what it does give you is a little taster into how we fill up our time with our two bundles of joy. I will be interested to see how this differs in a couple more months time. Are you a new parent? How does your daily routine compare? Let us know in the comments section below!